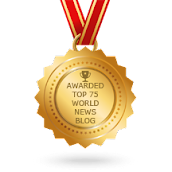 FBI UFO memo: The Federal Bureau of Investigation says that its Hottel memo, which reports on an alleged flying saucer sighting, has been viewed nearly a million times since 2011. 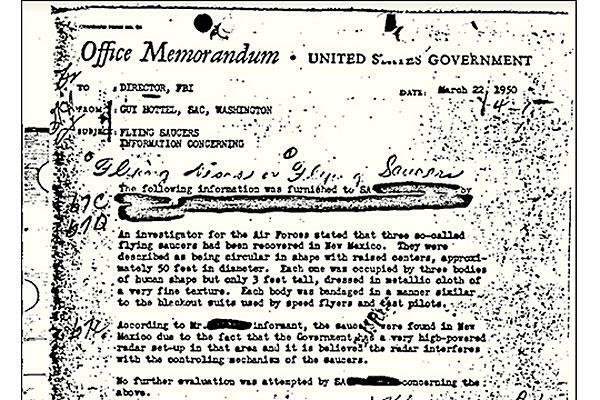 The FBI says its most viewed public record is a memo from 1950 recounting a strange story someone told an agent about three "flying saucers" that were allegedly recovered in New Mexico. The so-called Hottel memo was first released in the late 1970s under the Freedom of Information Act, but it's been viewed nearly a million times since 2011, when the FBI launched an online database of public records called the Vault. 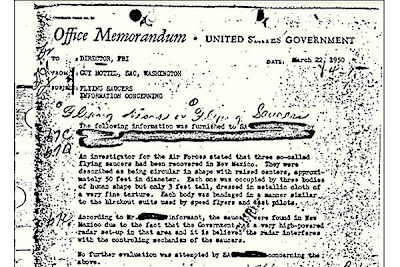 Dated March 22, 1950, the memo was addressed to FBI Director J. Edgar Hoover and written by Guy Hottel, then head of the Bureau's field office in Washington, D.C. Hottel was reporting what an Air Force investigator said that someone else told him about the crashed saucers.